This was a first for the College with a team visiting Scotland. The connection was Simon Dawson the pastor, who is a former student. Most of the homes of this village of 3,000 were visited during the week. Invitations were distributed to the refurbished building (badly damaged two years ago by a fire) for the church’s 125th anniversary. A highlight for the team was the youth bible study. Between 20 and 30 unchurched young people come to simply study and discuss the bible. As one team member was reminded ‘if you look after the depth God looks after the width’. 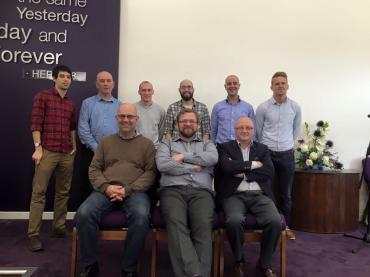 At the end of the week the team leader remarked ‘over the week a great rapport was built between the church members and the evangelism team’ and he added ‘Please pray for the church, its members and for their work. New Cumnock is a small area and this church is at the heart of the community’.